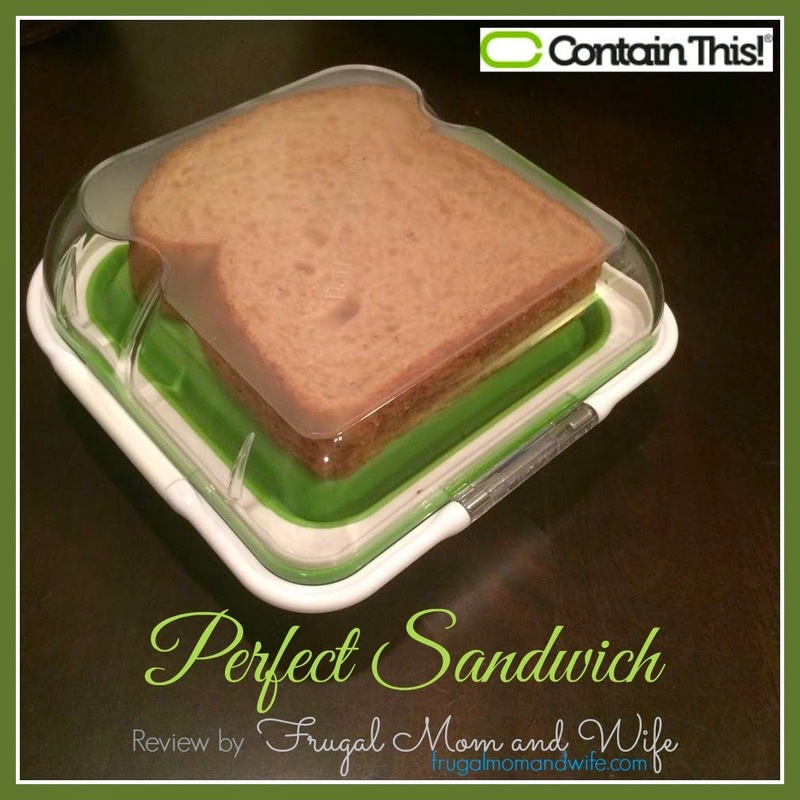 Frugal Mom and Wife: Perfect Sandwich Review! Packing a lunch for my family is a routine I know all too well. Providing a healthy and tasty meal is what helps them get through the day. The last thing my husband or kiddo need after a long morning is a soggy sandwich to look forward to. Typically I make their lunches the night before to avoid any surprises that the morning likes to produce. This saves me an abundance of time and one less task to juggle later. Unfortunately their lunches cannot always have access to a nice cool refrigerated area. This makes a soggy sandwich by the time lunch makes its way around after morning. This will not work at all! Perfect Sandwich is an innovative wet-dry solution designed to solve the age old problem of the soggy sandwich. By separating wet ingredients such as meats, lettuce, tomatoes etc. in a sealed, watertight compartment and away from the bread until mealtime, you get a Perfect Sandwich every time. Before using this container you must first place the removable green cooling pack in your freezer overnight. This allows your sandwich to stay cool during use. It is not dishwasher safe and is best suited for hand washing only. Regardless it is very easy to clean and doesn't have any small crevices where mold and mildew can lurk. The separation of the insides of the sandwich from the bread provide the overall fresh non soggy feature. This allows your bread to be protected in its own compartment as well as the insides, both air tight. The case itself is unique in design and fun to look at. Your sandwich will definitely stand out above the rest at lunch time. My favorite part about owning this Perfect Sandwich is taking it on field trips. You honestly are not guaranteed to eat when expected and have a shot of being outside. I no longer need to worry about a hot and nasty sandwich for my daughter, only the best is what she gets instead. This Perfect Sandwich by Contain This is a highly recommended product and proves to exceed expectations. Don't mess with soggy sandwiches any more, go and Contain This! !